Infant being treated for pertussis infection. ©CDC, 2012. 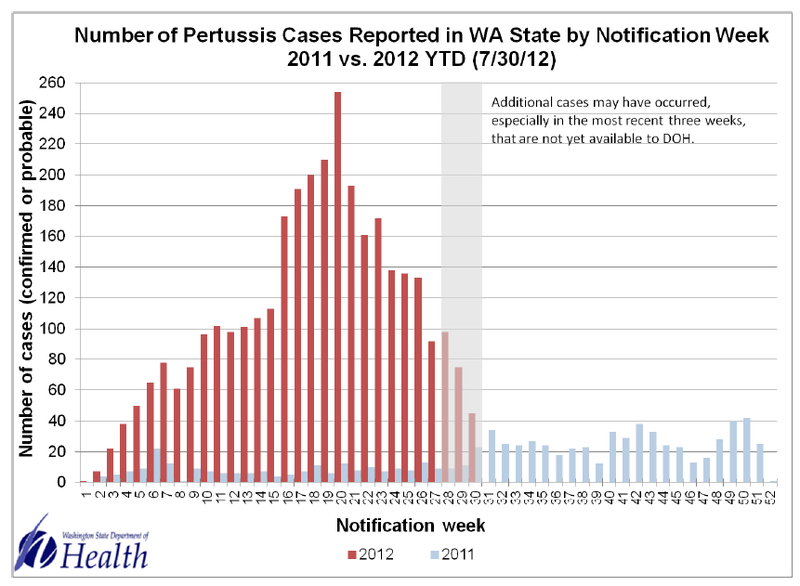 Over the past year or so, there have been several outbreaks of whooping cough (Bordetella pertussis), including one that reached epidemic levels in Washington state, which has been considered one of the worst pertussis outbreaks in the USA during the past several decades. The disease lead to 18 infant deaths in the USA during 2012. Even in adults, there are substantial complications, such as broken ribs from coughing, that can have a significant impact on the overall health of the individual. One of larger concerns with recent outbreaks of pertussis has been that adults with lapsed immunity or unvaccinated older children may pick up the infection, then pass it to these unvaccinated or partially vaccinated infants (usually less than 1 year old). After one of the worst whooping cough (Bordetella pertussis) epidemics in 70 years in Washington state, there is some good news. The New York Times has reported that the state, after passing a law that made it more challenging for a parent to get a personal exemption for a vaccination for their children, the exemption rate in Washington state has dropped by 25 percent. This is good news, because until recently Washington state was dead last in the immunization rate, or, if you like exemptions, it was number 1! Steven Salzberg, at Forbes Magazine, has reported that the USA is experiencing the worst whooping cough epidemic in 70 years. In addition, the CDC has stated that as of August 4 2012 (pdf), there are 21,000 cases and 10 deaths in the United States from whooping cough(Bordetella pertussis) year-to-date. Wisconsin has the highest rate of infection, while Washington, as I have discussed on a number of occasions, has one of the highest total number of pertussis infections. 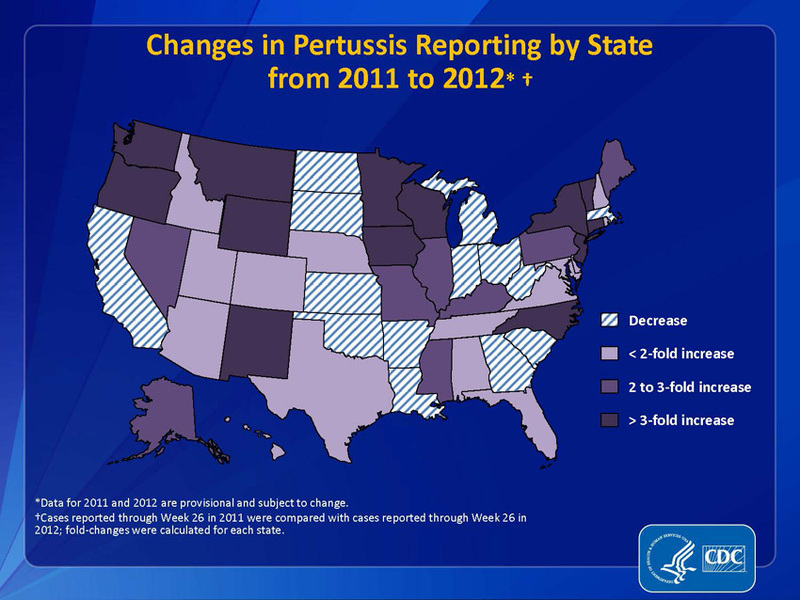 Increases in pertussis outbreaks by state from 2011 to 2012. 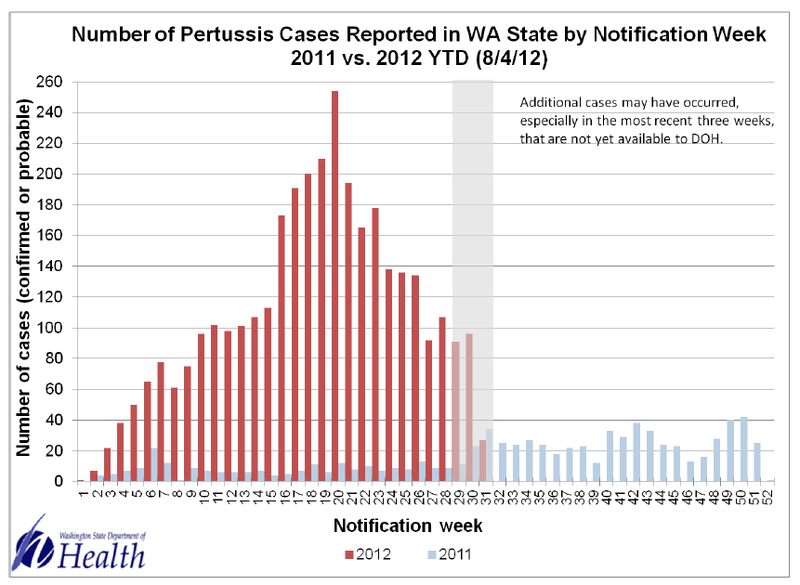 The Washington State Department of Health has reported (pdf) that the current whooping cough (Bordetella pertussis) epidemic has hit 2883 cases, over 10X more than the 210 cases reported at the same time last year. The epidemic seems to have peaked a few weeks ago, although concerns will remain as children return to school in the autumn. 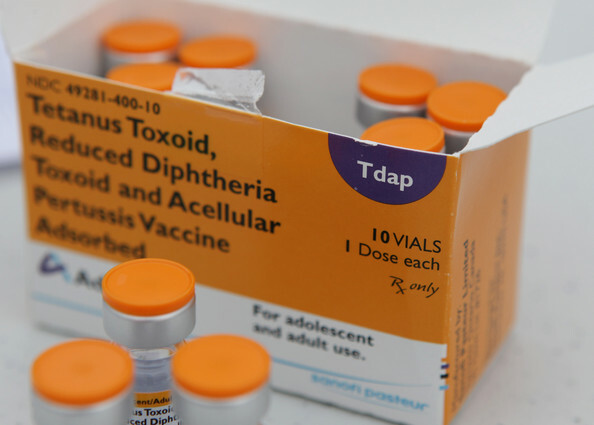 The Washington State Department of Health is reporting that there are 2647 confirmed cases of whooping cough (Bordetella pertussis) as of June 23, 2012. This number compares to only 187 cases during the same period in 2011. The epidemic has stricken 31 out of 39 counties (pdf) in the state with Skagit County having the highest number at 508 confirmed cases. It’s unknown why the epidemic in Washington state has grown so fast and so large, but it may be that there is a pool of anti-vaccine sentiment in the area.